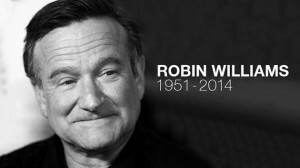 Although I have written about CBC and Depression at various times, I suspect that following the death of Robin Williams, more people will be coming forward seeking help. I have therefore updated my original information in this Blog. As coaches we do not work with Depression; however an understanding of the condition together with considering how CBC can assist may be helpful. As with any clinical condition the usual “Government Health Warning” applies. Understanding and knowledge help with referral to the right specialist intervention but does not equip a coach to work with such issues. Depression occurs in 1 in 4 adults in Britain at any one time, according to the Office of National Statistics (2013). This means a significant number of individuals will be affected with the subsequent personal and organisational costs. Clinical Depression is another term used to describe this type of depression. A major depressive episode occurs when symptoms last for most of the day, nearly every day for at least two weeks and the individual either experiences a depressed mood or a noticeable decrease in interest or pleasure in all or most activities. There need to be at least four additional symptoms such as, a significant weight loss / weight gain or decrease / increase in appetite, difficulty sleeping or increase in sleeping, excessive movement or slowing down, fatigue or loss of energy, feeling worthless or excessive guilt, difficulty thinking, concentrating or making decisions. This is where the individual feels a constant depressed mood for at least two years accompanied by a minimum of two additional symptoms such as, decrease or increase in eating, difficulty sleeping or increase in sleeping, low energy or fatigue, low self-esteem, difficulty concentrating or making decisions, feeling hopeless. This type of depression is described as having persistent but less severe depressive symptoms than Major Depression. This kind of depression was originally known as Manic Depression and includes periods of mania and depression. Changes between these two states can be rapid and sometimes only mania is present without any depressive episodes. A manic episode consists of a persistent elevated or irritable mood that is extreme, which lasts for at least one week with a minimum of three of the following, inflated self-esteem or self-importance, decreased need for sleep, more talkative than usual or compelled to keep talking, experiencing racing thoughts or ideas, easily distracted, increase in goal-oriented activity, excessive movement, excessive involvement in potentially risky pleasurable behavior (e.g. over spending, unwise business investments). A major depressive episode that occurs after having a baby where symptoms usually begin within four weeks of giving birth and can vary in intensity and duration. This type of depressive disorder is characterized by episodes of major depression that occurs during the autumn or winter. In the past two years, depressive periods occur at least twice without any episodes at a different time. This type of depression relates to a major depressive episode that lasts for at least two years. Depressive symptoms develop in response to a specific stressful situation or event such as job loss or the end of a relationship. These symptoms occur within 3 months of the event and last no longer than 6 months providing there are no other debilitating factors. Depressive symptoms cause significant distress and/or impair usual functioning at work or in relationships. Given the prevalence of Depression in the adult population and the impact Depression has on the individual and those around them, it is not surprising that colleague relationships and the resultant impact on profitability and day-to-day working practices are of concern to organisations. As with all the other potentially debilitating emotions such as anger and anxiety there is some evidence to suggest a genetic component. However, an individual’s emotional response is also based on a number of additional factors such as family history, stressful life events, thinking style, learnt behaviour, poor coping skills, individual personality and lack of social support. The best approach to dealing with Depression is Cognitive Behavioural Therapy (CBT). Both the National Institute for Clinical Excellence and NHS has recommended CBT as the treatment of choice when working with such conditions. In more recent years, many of the skills associated with CBT have been brought into the realm of coaching under what is called Cognitive Behavioural Coaching or CBC. CBC is based on psychological principles and is based by numerous research studies. CBC examines situations, thoughts, emotions, behaviours and the effects that these have on individual physiology. By working with what an individual thinks about him or herself, the world and other people in general and exploring how thoughts and feelings fuel Depression, what triggers individual responses and what strategies are needed to deal with these, the individual is enabled to think, feel and act in a healthier and more appropriate manner. The four areas that a Cognitive Behavioural Coaching programme covers are Physical Impact, Thoughts, Feelings and Behaviours. However, when coaching someone who is experiencing or has recently experienced some type of depression, it is important the Coach has the type of psychological background that provides the clinical knowledge required of such a condition. This is where those individuals who come from the fields of psychology or counselling and who are also competent in the field of Coaching Psychology come into their own. It is important that the Coach understands the diagnosis associated with the type of Depression the individual is or has experienced and, as such individuals may be on prescribed medication, the effects of this and the professional ethics and practicalities of liaising with the relevant medical practitioner responsible for the person concerned. The fact that someone is still at work or has been deemed fit to return to work usually indicates that the individual is seen as being well enough to continue with their normal day-to-day activities, even if he or she is still vulnerable to some extent. This part of the programme focuses on aspects such as lifestyle and takes into account diet, relaxation and exercise. Research into the area of exercise and Depression has demonstrated the significant physiological benefits of exercise on mood. Diet plays a part as people experiencing depression often do not want to eat or else may turn for comfort to foods high in sugar and fat in an attempt to elevate their low mood. As both of these factors have a negative impact on blood sugar levels and, as fluctuating blood sugar levels have a negative effect on mood, it is important to consider these factors. In the 1960’s, US psychiatrist Aaron Temkin Beck noticed his patients tended to engage in ‘internal dialogue’ as if they were talking to themselves. He realised that there was a link between thoughts and feelings and he created the term ‘automatic thoughts‘ to describe emotion-filled thoughts that pop up in the mind. Beck found that people weren’t always fully aware of such thoughts, but could learn to identify and report them. If a person was feeling upset in some way, their thoughts were usually negative and self-defeating. Beck discovered that by helping individuals identify these thoughts, they were able to understand and overcome their particular difficulties and he spent his early years developing a model of CBT for working with Depression (Curwen, Ruddell, Palmer, 2000). Cognitive Therapy (CT) was born and this later included more behavioural aspects to become Cognitive Behaviour Therapy. The individual is introduced to the concept of core beliefs, Life Rules and Negative Automatic Thoughts. Core Beliefs relate to those beliefs we have formed about ourselves, others and the world in general from the messages we receive in early life. Life Rules relate to the ways by which we enact our core beliefs in normal day-to-day life and, Negative Automatic Thoughts, relate to the thoughts that are triggered in the situations being faced. For example, a life Rule of “I must get everything right otherwise it will be awful” manifests itself when the individual is struggling with a new task and leads to thoughts such as, “I am pretty useless and should be able to understand how to do this”. When working with people who have experienced depression or who are low in mood, there are a range of strategies that can be used to help the individual identify and counter his or her self-defeating thinking. One such technique used by Seligman is called the “A,B,C,D,E” Model, an adaptation of the Dysfunctional Thoughts Technique pioneered by Aaron Beck which helps individuals to capture negative thoughts, evaluate these and turn them around into a more realistic and self-enhancing way of seeing the world and the situation in question. Everyone faces difficult situations and this stage is used to define what the situation is. The individual is asked to think about the situation, the parties is involved and is then encouraged to be as concrete as possible in describing the event in question. Here, the individual is asked to capture the thoughts that are going around in his or her mind and is encouraged to write down everything he or she can think about in relation to the situation without any form of censorship. The individual is asked to consider the consequences of his or her thoughts and the feelings and associated behaviours that result from these. The next part of the process looks for some evidence to counter what the individual is thinking and he or she is asked what other explanation(s) there could be? If there is more than one possibility a discussion takes place around why the person chooses to think the worst when an alternative explanation is possible. To complete the exercise, the individual is asked to think about how changing his or her thoughts changes the way the person feels and, how in turn, this can generate a series of different and more positive outcomes. I feel awful and don’t want to do any of the work I should be doing. I just want to go home. This exercise can be applied to any situation and gives the individual the chance to capture his or her thoughts and change these to ones that are more effective. In addition, attention is also given to what are called ‘Cognitive Distortions’ which relates to the ways in which the individual perceives situations. For example, ‘all or nothing’ thinking is where the individual sees everything in extreme terms and ‘personalisation and blame’ is where he or she takes responsibility for everything regardless of whether the individual is responsible or not. When feeling depression individuals often experience a range of emotions such as sadness, loneliness, inadequacy and self loathing. Whilst there are many exercises that can be used the one called the “Big I, Little I” helps the person identify his or her positive characteristics and what they are good at. The person draws the outline of a large I as a representation of the whole of his or her self and then fills the I in with lots of little I’s, representing the different parts that go to make up the individual. For example ‘I am kind’, ‘I care’, ‘I can sing’, ‘I can cook’ and ‘I have a good sense of humour’, ‘I am known for delivering on time’, “my colleagues like me”. Depressed individuals tend to want to hide away from people and from life in general and the more the individual can be encouraged to engage with those around him or her, the faster the recovery period. In addition, depression tends to make people become more self-centred and self-focused and one exercise, taken from Positive Psychology can prove useful in countering these tendencies. Here the individual is asked to engage in three acts of random kindness a day. These could be as small as opening a door for someone or smiling at someone on the train. Alternatively, buying the Big Issue or giving blood (as long as the person is not on any form of medication) will give the individual the sense that they belong to a broader community. All of these activities encourage the individual to engage with others and to think about more than the way he or she is feeling. There is no doubt that Depression is debilitating. However, most individuals only ever experience one depressive episode and if the individual concerned can be assisted to develop additional psychological resilience this increases his or her chances of falling into this category.